Consciously progress on your path of awakening and ascension with help from the Archangels, with this powerful pack of Ascension Meditations channeled by Melanie Beckler and set to the beautiful meditative music of Thaddeus. Archangel Michael connects to activate your inner Spirit, and to help you to directly access Divine Love, ascension energy, and healing vibrations direct from the Divine and from your higher self. This 18.44 Min .MP3 Meditation is set to the beautiful meditative music of Thaddeus. Archangel Uriel connects with a powerful angel message on ascension, and will guide you through the process of inviting more unconditional love, compassion and joy into your physical experience. You will be gently and lovingly guided to lift your vibration to connect with the angelic realm and with your team of guides and angels. Elevate your consciousness while increasing your joy, vitality, well-being, and energy. Now is a powerful time to move forward, to make positive changes, and live more passionately and vibrantly through attuning to your original thought, clarity, and creativity. This meditation will help you to do this… and more! Enter within, relax, and breathe as you are transported into the realms of spirit and guided to connect with your guardian angel, with your light, gifts, and direct frequency and love from the Divine. Rejuvenate your spiritual being and further activate and open your gifts of spirit and your natural ability to perceive beyond the physical realm, in the realm of spirit. Experience clearing and protecting yourself energetically with white light. Then progress forward on your path of conscious awakening, by elevating your vibration and ascending the staircase of light. Elevating your vibration is a direct path to living life more vibrantly and with more joy and love. 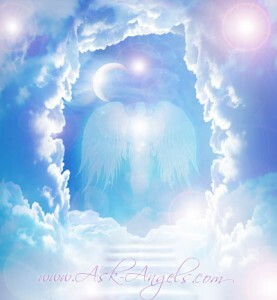 This Angel Meditation was recorded under the Mayan Prophesied December 2012 Full Moon and Lunar Eclipse. This is a powerful 23 minute meditation that magnifies the energies of cycle-completion to help usher in new beginnings which can help you initiate change and persevere in new directions by simply listening and meditating with this message. Connect with an empowering and uplifting frequency alongside pertinent angelic guidance for you at this time. Simply breathe, relax, and listen to tune into the love, light, and message from these powerful Archangels. Receive a cleanse of your intuitive guidance system, along with the blessing and message from the Angels, Ascended Masters and Saints who are with you and assisting you in your journey through life. I am trying to purchase the 911 emergency angel meditation for $11 and I cannot find it. Can you tell me where it is? l wanna activate this Ascension but I’m currently in Libya. any help? Hope the Light come into urself wide and sincerely,from Inside .. So Thanx,u wont beliebe ow important is for me..